There’s more to Sheffield than steel, snooker and Henderson’s Relish. An independent cafe culture is making waves over the Peaks and the Pennines, and doesn’t look to be slowing down any time soon. We’ve mapped out the best of the brews with our Ultimate Guide to the Best Cafes in Sheffield. 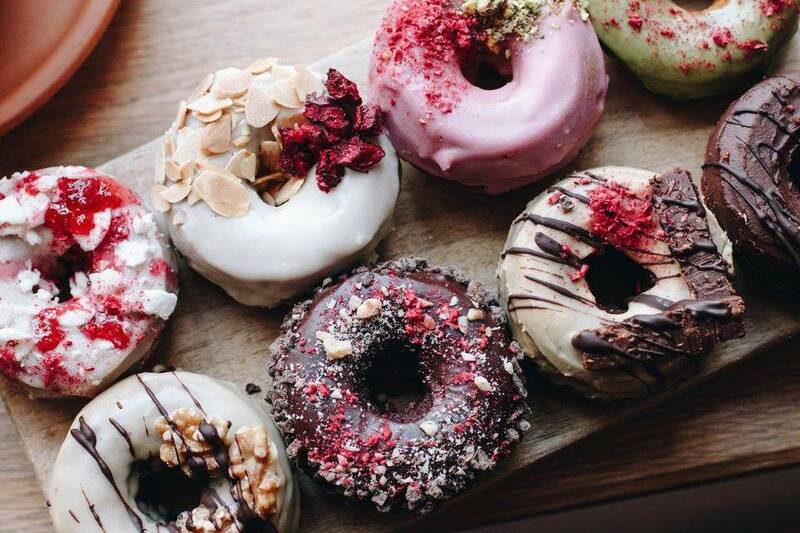 So, if you find your‘sen in South Yorkshire, from specialty coffee to vegan donuts, we’ve got you covered. The centre is sprawling and diverse, with pockets of cobbles that make it feel like a rural town, and grand shiny arcades and markets that feel urban and new. Just round the corner from the Winter Gardens – a tropical rainforest in the heart of the city, Norfolk Street is one of those areas where you could have stepped back in time. With an old-fashioned herbal pharmacy on the corner, and painted signs swinging from the brick buildings, wind on to the pedestrian Norfolk Row, and you’ll find Marmadukes, the cafe/delicatessen that has been charming locals and tourists since it’s appearance on the scene in 2012. Between the planters of daisies at the shop front, and bicycle riding bear on their chalkboards, there’s a touch of the traditional tearoom about Marmadukes, but the hearty brunch menu is a hit with millennials and families alike. In fact, it’s a family affair, run by Claire and Tim Nye, their barista sons Tim and Will pulling the shots with a House Blend from Berlin’s The Barn. Champions of British produce, the kitchen draws on fruit and veg from Lane End Trust in the Peaks, plus milk & cream from local farm Our Cow Molly. Look out for their delicious tarts, cakes and scones, and act fast as there’s often not much left by tea time! If you tell people you’re spending the day in Sheffield, they’ll inevitably insist you check out Tamper. 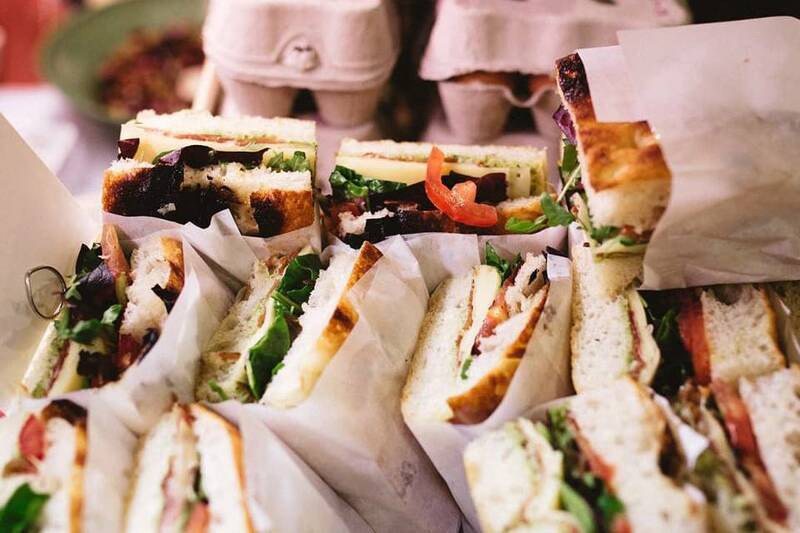 Set up by New Zealand born Jonathan Perry, both the intimate coffee counter at Westfield Terrace, and the more food orientated Sellers Wheel, offer a chunk of kiwi cafe culture, where you’re sure to find something tasty. With regularly rotating single origins on filter and not one but two-house blends, it’s definitely a must for caffeine geeks, but for Perry, the menu is just as important. 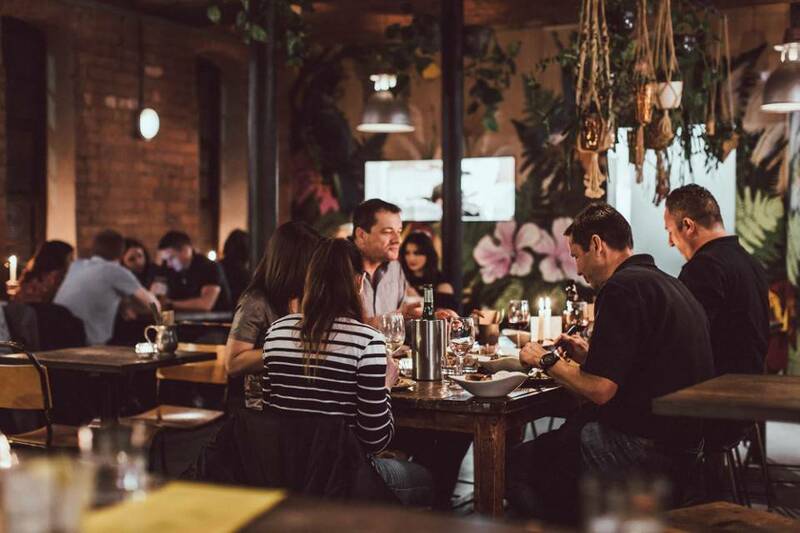 We sampled the After Hours eats on a Friday night at Tamper Sellers Wheel; sharing a veggie Antipasti Platter, Ginger Beer Battered Plaice Fingers with a Sriracha crème fraiche, and chilli coriander falafel with roasted tomato hummus. You’ll have to book to get a seat on one of the high stooled tables looking across the small yard, where you can sip an Aperitif beforehand. Sheffield’s answer to Dominique Ansel, comes in the form of Steam Yard, where you can get your Kronut/Cruffin fix, if you’re lucky. Often selling out completely before midday, this cool caf is a popular hangout just off the vintage mecca that is Division Street. 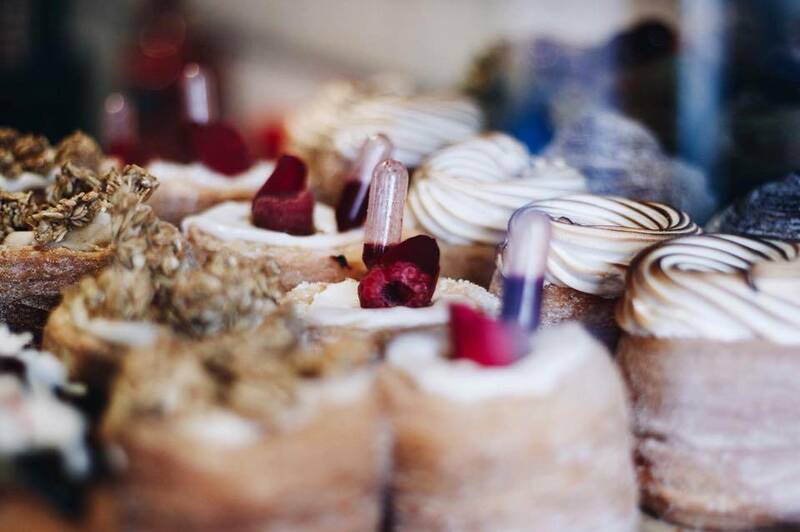 Their Instagram will have you drooling over their creations; how does Matcha sugar, with a pistachio chantilly core and sour cherry compote sound? Or Basil crème pat, lime sugar and torched pineapple? Yes please. They even do a line in raw vegan donuts too if you’re that way inclined. With it’s cactus packed florists, sushi and ramen bars, Division Street is a favourite with cafe lovers and students. Heading out of town towards the Uni, you’ll pass Tamper’s other spot on Westfield Terrace, The Great Gatsby, and Forum Kitchen & Bar. 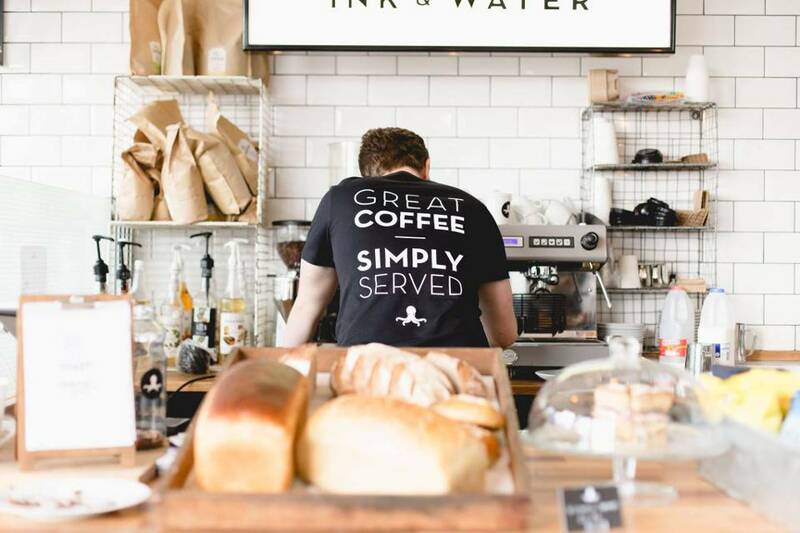 Further along, in a shiny new complex of restaurants and offices, you’ll find Ink & Water, a design agency come coffee shop that offers Animation alongside Americanos. With floor to ceiling glass, this little cafe is full of natural light, a sleek space for a little laptop and cheesecake brownie action. They also do excellent toast, plus craft beer, cocktails and prosecco after hours Monday to Saturday. Venture further out, and West Street becomes Glossop Road, proud home to Sheffield’s Creative Hub, Roco. This social enterprise collection of studios and workspace is not only worth a browse for gorgeous hand-crafted homeware, books and exhibitions, but for a visit to its Brood Cafe Bar. Open six days a week, you’ll find people chilling out on the sunny roof terrace, or tucking into beautiful brunches, dreamt up by head chef Hugh Smith, of Ecclesall Road Nonna’s fame. With a mini bakery on site, a greenhouse and small chilli farm, you can expect fresh ingredients served simply and artistically. Keep going along Glossop Road towards the Hospital, and Upshot Espresso promises Buns n’ Brews to tempt any weary traveller away from the city. A highlight amongst Sheffield’s speciality coffee scene, they’re grinding the likes of Berlin-based Bonanza and Oslo’s Talor & Jørgen, alongside local heroes. The buns won’t disappoint either; perfect rings of cinnamon dough sprinkled with those telltale white sugar crystals. Still hungry? 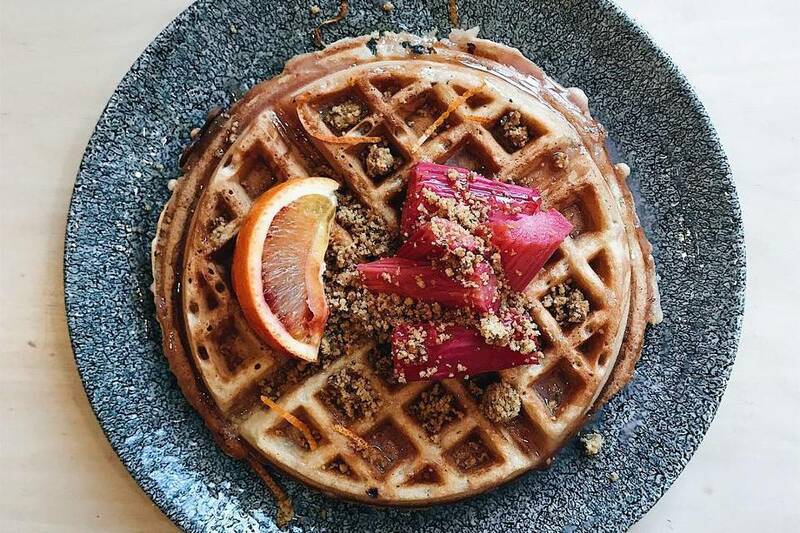 There’s thick Norwegian Style Vegan Waffles with blood orange, roasted rhubarb and pistachio crumble, Avo Toast, and Grilled Cheese with homemade beetroot ketchup. 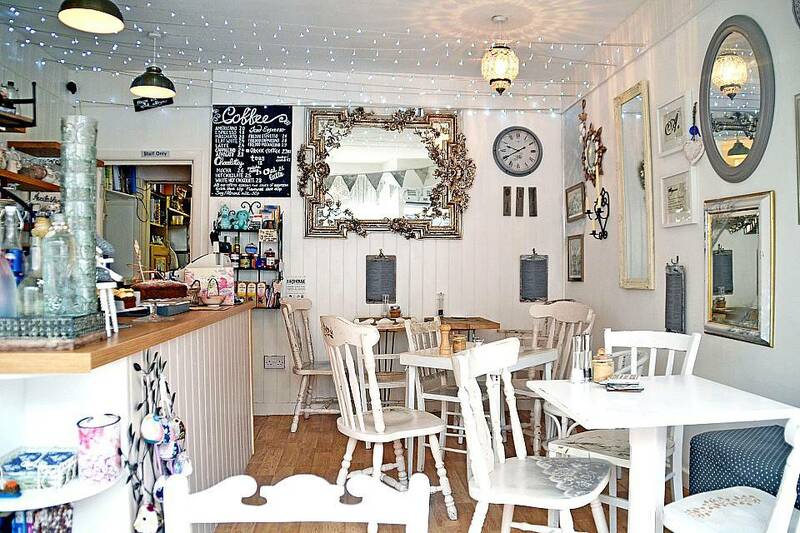 Not far from the soon to be redeveloped Moor Market area, The Holt Cafe is a large warehouse type space with a whimsical hippy feel, often hosting craft stalls and weddings under twinkling lights and bunting. It’s a favourite with vegans in the city, offering a mean Beetroot oat milk latte, and plant-based bakes such as peanut butter energy balls and carrot cake flapjack. Everything is made on site, or from ethical local suppliers, with coffee from Smith Street roasters, and tea from Birdhouse, both literally a stone’s throw from their seventies painted shutter. On a Saturday morning, you’ll spot a queue winding around the blue shop front of Forge Bakehouse on Abbeydale Road, in Sheffield’s ever-expanding Nether Edge suburb. 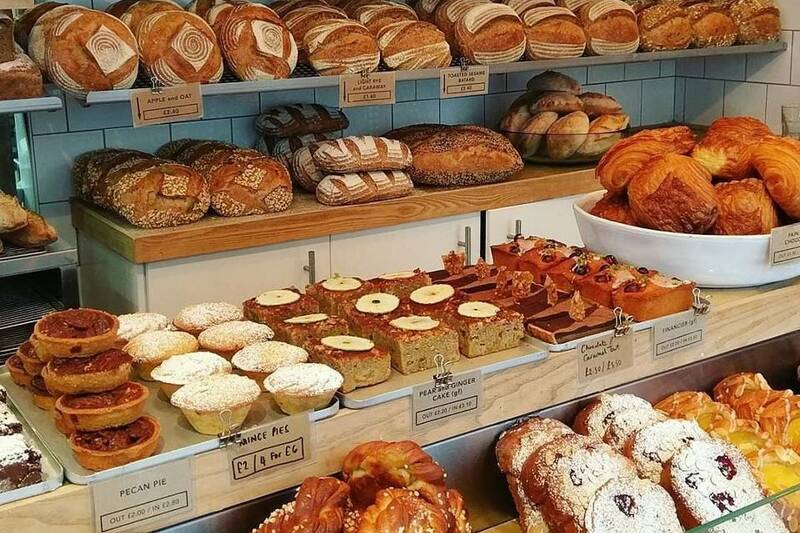 Eager to get their hands on an artisan loaf for the weekend, customers happily leave clutching paper bags of sweet treats and bakes to take home to their friends and families. We spied trays of hot cross buns full of plump caramelised currants, banana bread granola, and sugared slabs of frangipane Bostock. Everything is made in-house from organic flour, sourced from farms in North and East Yorkshire. They operate a home bread delivery service, veg box scheme, and regularly host pizza nights and baking classes. With a small cafe menu, it’s a perfect pastry pit stop, but upstairs at Mester’s Social is where the culinary magic really happens. Finding no room to feed their hungry crowd, Forge has opened a new space serving brunch by day, and cocktails by night. The hidden attic, tucked away above a rainbow stairwell, really feels like a secret supper club destination, with copper lighting and leafy green plants dangling above wooden sharing tables. As for the menu, it’s packed with delights; porridge with spiced apple compote, vanilla french toast with fried chicken, baked eggs (or tofu), two ways, with stacks of sourdough toast and butter. The harissa fried eggs with avocado, hazelnut dukkah, and labneh were as good as it sounds. The drinks are also exciting; house chai coconut lemonade, a kimchi mary and two choices of filter coffee – North Star’s Ethiopian Kochere and a Kenyan Gicherori from Maude, both roasted up the road in Leeds. For a real slice of La Dolce Vita, head to Bragazzis for an espresso at one of their outside tables, and watch the world rumble by. This little deli is crammed with Italian delicacies; dark olive oils, balsamic, passata, pesto and lemons. Under a countertop of fat focaccia sandwiches filled with the likes of salami, rocket and mozzarella, you can pick up retail bags of their own Bragazzi’s blend, roasted by Darkwoods in Slaithwaite. Over at the bar, it’s a challenge to resist the dusted almond croissants bigger than both of your hands. Head here for unique gifts and hampers at Christmas, and a scoop of Gelati Artiganale in the Summer. New kids on the block, Birdhouse Tea Bar and Kitchen offer a delicious and healthy brunch menu, buddha bowls, sharing deli boards, pastries, cakes and desserts. Together with a focus on single origin and blended teas expertly created by hand in their Nether Edge shop. Their exciting drinks range from unique tea cocktails and new tea trends such as Matcha Lattes and tea infused culinary dishes. Together coffee is provided by Sheffield’s finest, Foundry Coffee Roasters, hand pulled by Birdhouse’s team of specialist Baristas. Since opening the doors last April Pom Kitchen has built a huge foodie following from Sheffield’s vegan and vegetarian community. Showcasing the best local produce together with a menu of fresh, healthy ingredients that are inspired by the Australian café culture. Another foodie favourite on Sheffield’s Sharrow Vale Road we couldn’t miss out has to be Eve’s Kitchen. Originally starting life selling at street food markets before taking the plunge and setting up permanently. 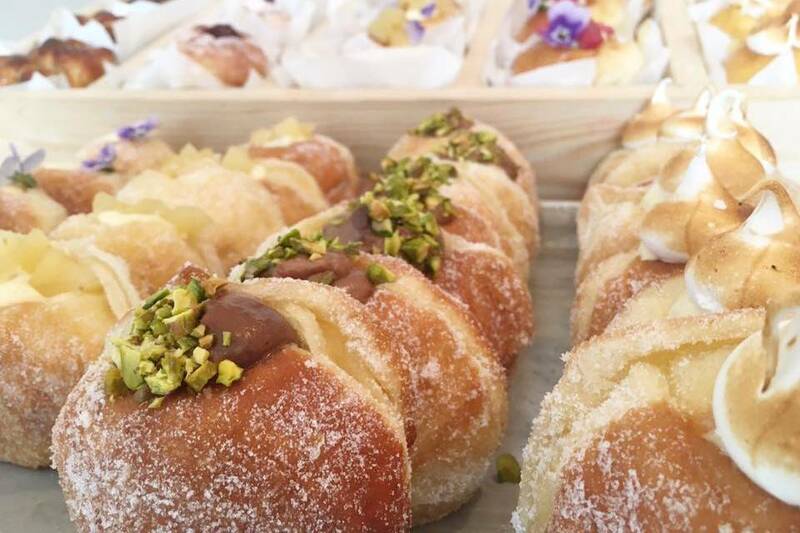 Eve’s Kitchen sells some of the most mouthwatering handmade doughnuts, decadent brunch dishes and superb hand-pulled coffee. If you are driving, and do follow the A61 North, cross the River Don, and you’ll discover the Kelham Island side of the city, another up and coming area, where the demise of the steel industry has given way to contemporary factory developments of residential flats and a thriving food and drink scene. There’s breweries, taverns, Peddler’s famous night market, and even a Bhaji Shop. The Milestone, Sheffield’s Premier gastropub, celebrates unloved cuts of British meat, whilst its sister venue Craft & Dough do Artisan Pizza, Brunch, Coffee and Cocktails around the clock. Over at The Depot Bakery, a busy team are shaping the loaves that supply the city’s cafes, under a skylit roof, with a mural ode to the nearby Shipyards. As well as bread, which cools on pronged wooden trivets next to the La Marzocco Linea coffee machine, they are very good at eggs and offer plenty to keep your wheat-free pals happy too. 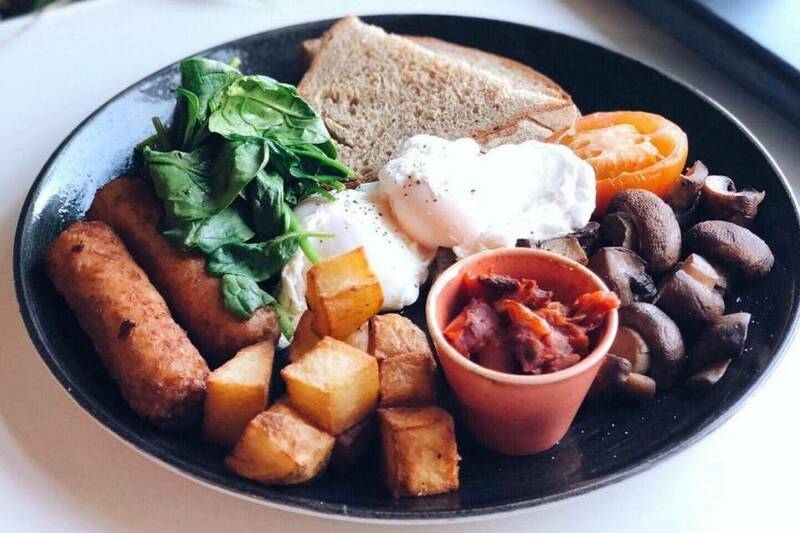 Join the breakfast club, and head to The Grind on Green Lane, known for their sausage rolls (apparently loved by the Arctic Monkeys), or try new kids on the block Gaard Coffee Hide. This little retreat does coffee by The Forge roasters on the way to Rotherham, sandwiches, and top-notch patisserie. Situated in the Crookesmoor area of the city, Alyssum is an independently owned coffee shop established in 2015. The perfect place to enjoy all day breakfasts, decadent brunch and lunch dishes all and homemade from scratch. Cakes change daily and are freshly baked in-house. We strongly advise not to look at their Instagram feed when hungry! Well…there seems to be more cafes in Sheffield than you could shake a snooker cue at. So, if you’re out shopping, out in the suburbs, or meeting friends in the city, you’ve got plenty of Yorkshire Food Guide approved choices to the best cafes in Sheffield. Who fancies a cuppa? Ultimate Guide to the Best Cafes in Sheffield – Written by Sarah Cotterill, follow on Twitter @scottnodot – Cover photo featuring Steam Yard. View our Best Restaurants in Sheffield or Exclusive Sheffield Restaurant Offers.